Pilates is a method of movement and exercise focused on strengthening and stretching the body to create balance and health. Created by Joseph Pilates in the 1920s, many of the exercises and pieces of equipment remain largely the same to this day. Pilates emphasizes proper breathing, alignment, and fluid, controlled movement that can be both gentle and challenging. Pilates can help you reach your fitness goals, complement your athletic conditioning, assist in injury recovery, and help you attain overall health. We specialize in private lessons and small group classes, focusing on a personalized approach to Pilates. 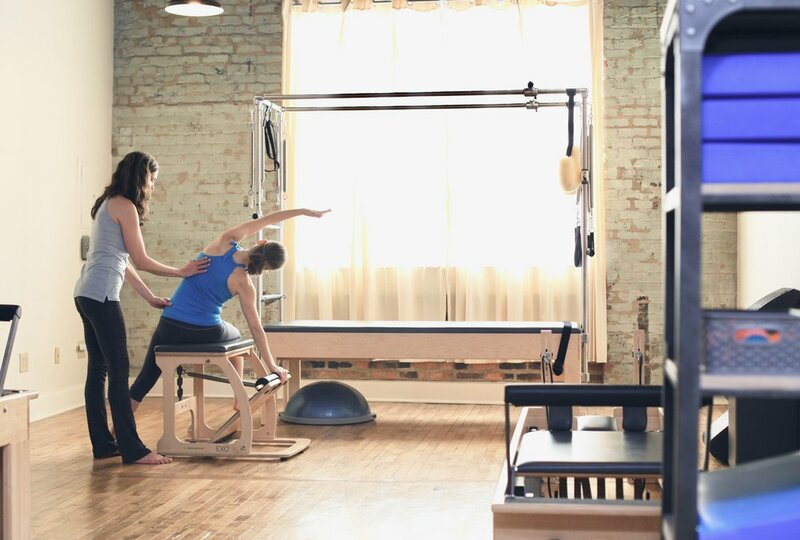 You're in good hands at Nashville Pilates Company, so go ahead and give it a try! Private lessons are the most individualized way to experience Pilates. Taught using a variety of equipment, these 50-minute lessons are designed to meet your specific needs and goals. Want a private, more personalized tower mat class? Grab a friend or two and create your own duo or trio lesson! Tower mat classes combine classic mat work with the addition of spring based resistance for a fun and challenging Pilates workout. These 50-minute classes are limited to four people to ensure personalized instruction. We offer both classic and specialty tower mat classes - check our group class schedule for details. Sign up for a tower mat class here. 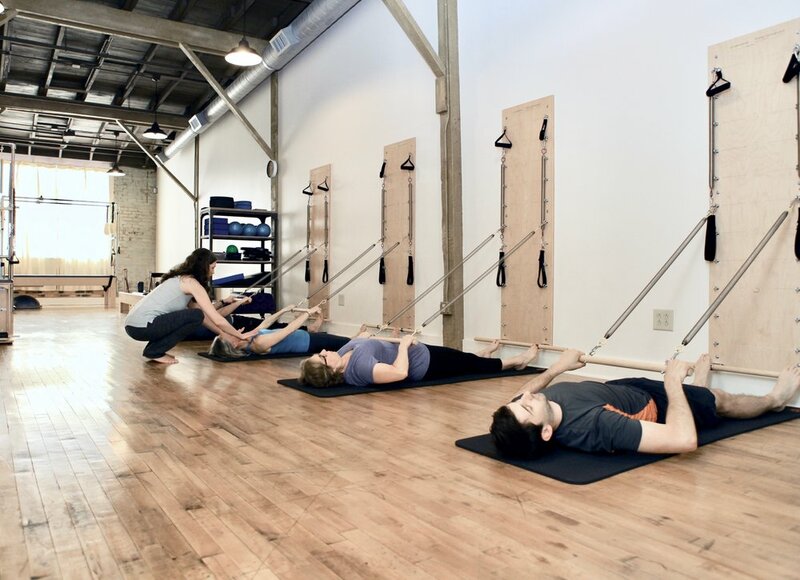 Using a variety of props and your own body weight, mat classes challenge strength, coordination and balance while highlighting traditional Pilates exercises. These classes are limited to six people, so there's plenty of personalized instruction. We offer both classic and specialty mat classes - check our group class schedule for details. Sign up for a mat class here. Cancellation Policy: If you need to cancel a scheduled lesson, please do so* at least 24 hours in advance to be free from payment responsibility. If you cancel a lesson with less than 24 hours’ notice, or if you do not show up for your lesson, you will be charged the full price of the lesson.